It’s gonna be legen — wait for it — dary. The live-action Legendary Dudas TV show premieres on Nickelodeon, Saturday, July 9, 2016 at 9:00pm ET/PT. Watch a trailer, below. The new, “mockumentary” comedy series follows brothers Sam Duda (Theodore Barnes) and Tyler Duda (DeVion Harris). The cast also includes Meyrick Murphy, Megan Richie, Daniella Perkins, Pearce Joza, Mylo Gosch, Jackson A. Dunn, Dallas Liu, Laura Harman, and Kelly Perine. Nick says the Dudas are as different as “tacos and telescopes.” When Sam is double-promoted, he ends up in Tyler’s seventh grade homeroom. Nickelodeon teases that life at Fenski Middle School will never be the same. The Legendary Dudas TV series is created by Kevin Jakubowski, who executive produces with Sharla Sumpter-Bridgett. Get the details from this Nickelodeon press release. Santa Monica, Calif. -July 5, 2016- Meet Sam and Tyler Duda–two polar-opposite brothers whose worlds’ collide when they unexpectedly end up in the same homeroom class, in Legendary Dudas, Nickelodeon’s new live-action comedy series, shot in a single-camera ‘mockumentary’ format. Debuting Saturday, July 9, at 9:00 p.m. (ET/PT), the series will join an all-new block of live-action premieres kicking off with The Thundermans at 8:00 p.m. (ET/PT), followed by Nicky Ricky Dicky & Dawn at 8:30 p.m. (ET/PT). 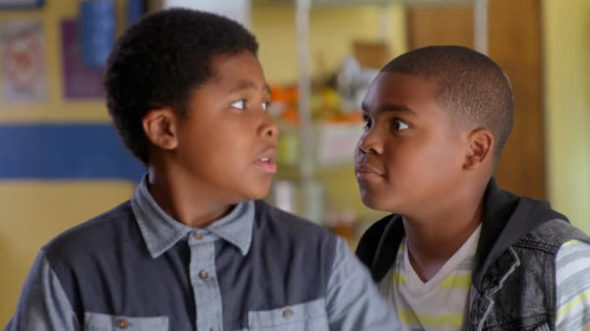 Legendary Dudas follows the comedic adventures of two brothers, 11-year-old Sam Duda (Theodore Barnes), and 12-year-old Tyler Duda (DeVion Harris), who may share the last name, but are as different as tacos and telescopes. When Sam unexpectedly skips a grade and lands in his popular older brother’s seventh grade homeroom class, life at Fenski Middle School is never the same. Along with their squad of friends, and through direct-to-camera testimonials and interviews, the Dudas embark on bizarre and hilarious middle school adventures, eventually learning they always have each other’s backs, despite their differences. 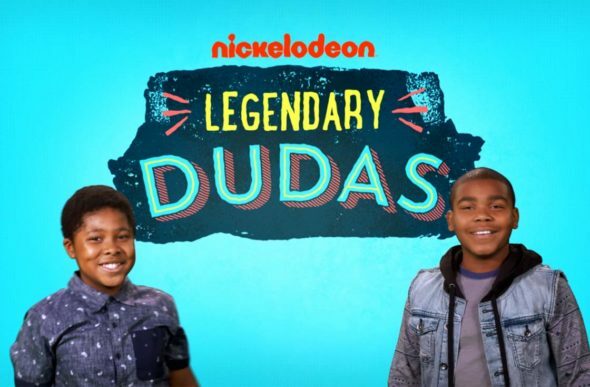 Legendary Dudas is created and executive produced by Kevin Jakubowski (Nickelodeon’s School of Rock). Sharla Sumpter-Bridgett also serves as an executive producer. Fans can visit the Legendary Dudas page on Nick.com and the Nick App to learn more about the show, its characters and get a behind-the-scenes look at the series. Nickelodeon, now in its 37th year, is the number-one entertainment brand for kids. It has built a diverse, global business by putting kids first in everything it does. The company includes television programming and production in the United States and around the world, plus consumer products, online, recreation, books and feature films. Nickelodeon’s U.S. television network is seen in more than 90 million households and has been the number-one-rated basic cable network for 20 consecutive years. Nickelodeon and all related titles, characters and logos are trademarks of Viacom Inc. (NASDAQ: VIA, VIAB). What do you think? Do you like the sound of the Legendary Dudas TV series? Do you plan to check out the first season premiere on Nickelodeon? Tell us.